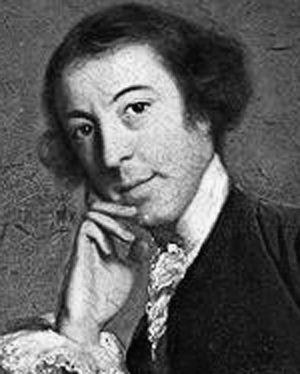 Horatio Walpole, 4th Earl of Orford (September 24,1717 – March 2, 1797) was an English art historian, man of letters, antiquarian and Whig politician. He is now largely remembered for Strawberry Hill, the home he built in Twickenham, south-west London where he revived the Gothic style some decades before his Victorian successors, and for his Gothic novel, The Castle of Otranto. Along with the book, his literary reputation rests on his Letters, which are of significant social and political interest. He was the son of the first Prime Minister, Sir Robert Walpole, a cousin to Admiral Lord Nelson's grandmother, and was equally known as Horace Walpole. Don't play for safety. It's the most dangerous thing in the world. Exercise is the worst thing in the world and as bad an invention as gunpowder. History is a romance that is believed; romance, a history that is not believed. I have known men of valor cowards to their wives. In all science error precedes the truth, and it is better it should go first than last. In my youth I thought of writing a satire on mankind but now in my age I think I should write an apology for them. Men are often capable of greater things than they perform. They are sent into the world with bills of credit, and seldom draw to their full extent. Mystery is the wisdom of blockheads. Posterity always degenerates till it becomes our ancestors. Prognostics do not always prove prophecies, at least the wisest prophets make sure of the event first. The contempt of money is no more a virtue than to wash one's hand is one; but one does not willingly shake hands with a man that never washes his. This world is a comedy to those that think; a tragedy to those that feel. To act with common sense, according to the moment, is the best wisdom I know; and the best philosophy, to do one's duties, take the world as it comes, submit respectfully to one's lot, bless the goodness that has given us so much happiness with it, whatever it is, and despise affectation. Tyrants have no consciences, and reformers no feeeling; and the world suffers both by the plague and by the cure. When people will not weed their own minds, they are apt to be overrun by nettles.